So last June, I had my first major hair color boost– Ash Blonde Foilyage. After three months, I wanted something new again for my hair and this calls for another Hair Revolution Project! My hair has always been one of my expressive creative outlets in styling. I can remember when I was in high school I was dying to get highlights and so I had to ask my mom to buy bleaching products and DIY it. It wasn’t that successful of course and didn’t last long since hair colors are prohibited in school. I was lucky to be one of the bloggers to experience a free major hair makeover courtesy of Beauty Lane Philippines. Upon arriving to my appointment with my stylist, I had this feeling to go extremes of being blonde but knew I wanted to be at least a couple of levels lighter. And so, I opted for an Ash Blonde hair color from Elgon. That means I need to have my hair bleached. 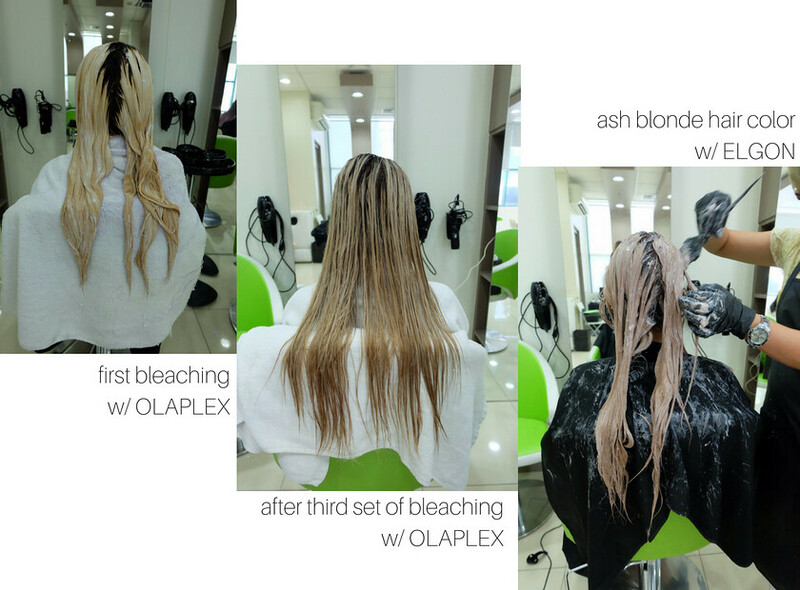 At first, I was freaking inside since we all know bleaching can damage your hair and intensifies breakage, but they assure me there’s nothing to worry about since their using the holy grail of hair treatments– Olaplex. Yup, my hair was bleached three times in one sitting, no breakage! It just toned down my former hair color. 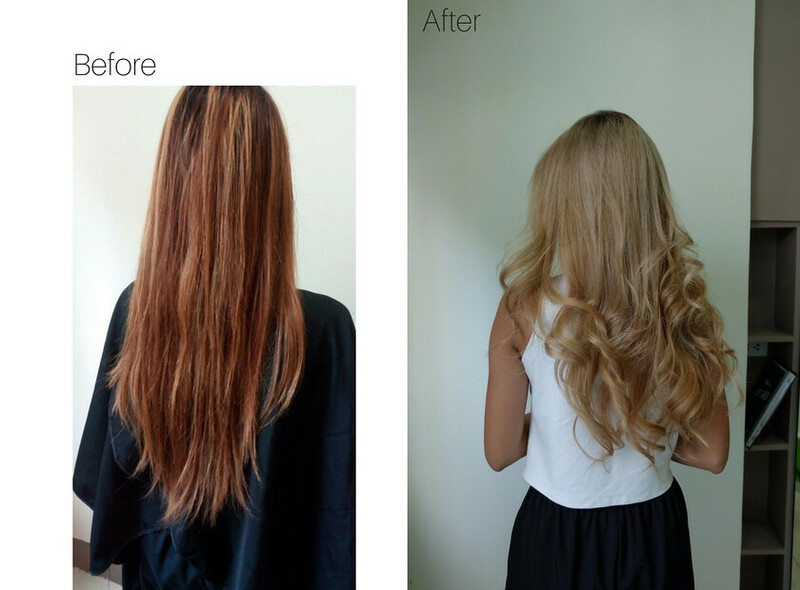 Olaplex is a Bond Multiplier that dramatically eliminates breakage from chemical services. It works independently to reform broken bonds that are not reforming properly. Elgon is a professional hair color brand from Milan and currently one of the most trusted brands in the industry in more than 70 countries worldwide. Its hair color line is one of the newest technologies inhair caree, formulated to give brighter, longer lasting vibrancy without the damage. The golden shade of my hair turned into a bright ash blonde! I have finally achieved this dream hair color. My hair now is so blonde and bouncy. Beauty Lane team did a wonderful job– hair goal achieved! So if you ever wanted to go for an extreme hair color makeover, make sure to choose the right salon and stylist who knows about it. Ask your stylist about treating your hair with Olaplex first and use Elgon Professional Hair Color. Beauty Lane Philippines is the official distributor of Elgon, Ardell, Brazilian Blowout, Olaplex, Fabulash, and more. It’s not a salon but a training center for salon owners where they can avail the products. You may check out their website at www.beautylane.ph or visit their Facebook and Instagram. This is a sponsored post by Beauty Lane Philippines. I was invited for a hair color treatment of my choice in exchange for an honest review. All thoughts and experience stated in this post are entirely my own.